Silicon Valley, CA & Saskatoon, SK – December 22nd, 2015 – uAvionix Corporation, the leader in aircraft sense and avoid, and Draganfly Innovations Inc., the world renowned longest-running manufacturer of multi-rotors, maker of the first civilian drone to be credited with saving a life, and a wholly owned subsidiary of Trace Intelligent Systems, today announced the successful integration of uAvionix’ Ping ADS-B receiver with Draganfly’s auto-pilot and Surveyor ground station. Integrated on the vehicle itself, the system presents new ways to improve drone and aviation safety by providing the ability to detect full size aircraft and automatically avoid a potential collision. This is the first step in integrating drones in the national airspace using the existing ADS-B infrastructure. The Ping network uses live aircraft traffic without relying on a connection to the internet or cellular networks. 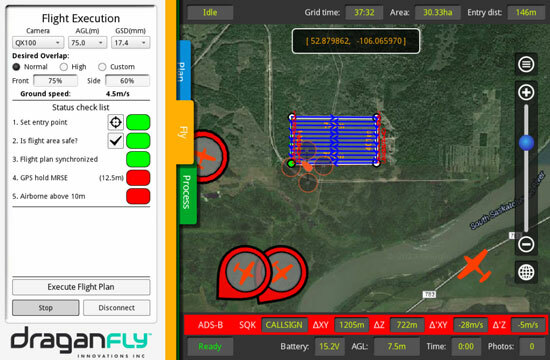 “We are thrilled to be working with sUAS pioneer, Draganfly Innovations. Their continued passion to integrate new technologies that provide a robust user experience is unsurpassed. This step further demonstrates their commitment to lead the way towards a safer airspace”, said Adam Paugh, uAvionix’ Director of Business Development. This is the first of many steps that uAvionix and Draganfly will take jointly to improve drone and aviation safety. Trace Intelligent Systems provides intelligent and integrated systems for the unmanned industry. Trace’s UAVs, live-streaming platform and proprietary visual intelligence combine to create an integrated solution for the UAV industry. The live-action content platform aggregates and distributes streamed footage from globally activated TRACEr devices. The TRACEr is a visually intelligent SmartCamera that autonomously operates a selection of auto-follow devices and live-streams captured user footage directly to the Internet. uAvionix develops the world’s smallest, lightest and most affordable ADS-B transponder, Ping. 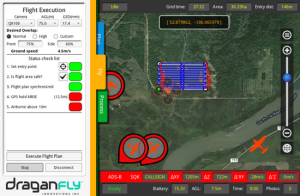 uAvionix’ Ping network system combines hardware, software, and real time airspace mapping to enable companies to safely and reliably operate drones in the NAS. Based in Palo Alto, uAvionix has gathered a cross-disciplinary team of experts in embedded RF engineering, sUAS operations and compliance, hardware, software, and cloud services.